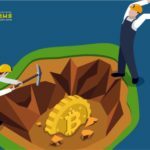 The criminal case related to the theft of mining rigs received a widespread media coverage. 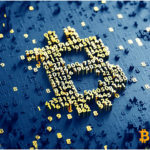 The Icelandic media have recently reported that Sindri Thor Stefansson was accused of stealing a record-breaking number of mining hardware and sentenced to four and a half years’ imprisonment. According to a number of media reports, Sindri Stefansson was deported to Iceland after his frustrated attempt to escape. Last year, Stefansson and his accomplices stole approximately 600 mining rigs and computers from three data centers in Iceland. 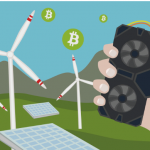 A lot of factors, such as a cheap electricity, numerous hydroelectric power stations and a cold climate made crypto mining very popular in Iceland. The value of stolen hardware was estimated at almost $2 million. The current population of Iceland hardly reaches 340,000 people, and the country has one of the world’s lowest rate of reported crimes. So, it’s not surprising that such a brazen robbery became a sensation. 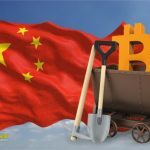 In total, eleven people were recently arrested for their involvement in stealing mining hardware, and seven were charged with the crime. Sindi Stefansson was among the latter group. The arrested gang members received sentences ranging from six months to two and a half years. However, during his detention, Stefansson organized a jailbreak. He booked a flight ticket by phone directly from the prison and escaped through the window. He got a cab to the airport and boarded a plane to Stockholm. In a bizarre twist, Iceland’s Prime Minister, Katrín Jakobsdóttirthe, was on the same flight to the capital of Sweden. Later, Stefansson was detained in Amsterdam and deported to Iceland. The aggrieved company, Advania, was compensated about $270,000 for the stolen rigs, but unfortunately, the mining hardware haven’t been found yet. © 2018 bit.news | queries 232, for 0.230 sec.